We at Games and Casino pride ourselves on thoroughly reviewed blackjack casino games and software platforms. 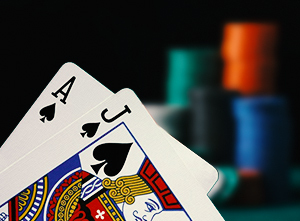 Our online casino blackjack section is no different. We’ve broken down each software platform, from NuWorks Gaming to WagerWorks, and described their unique rules, table limits, and player options. Some software platforms, and therefore their casinos, are more blackjack dense than others. If you’re a blackjack fanatic, you’ll love the diversity these casinos have to offer in terms of side bets, tandem gaming, and rule variations. More information on blackjack here. The Casino Blackjack software reviews above are sorted by software type. You can find more strategies on playing online blackjack in our blackjack strategy section listed below. Read our blackjack review for a little more information on the game. If you’re a tried-and-true blackjack purist, then you’ll find a home in nearly every casino—at the very least, each one will offer the classic game with very few game changes. The hard part, then, is just deciding where to play. And we can help with that, too. Of the hundreds of casinos available on the Internet, we’ve created a list of casinos on each software platform that we feel embody fair play and fair payouts. We wouldn’t recommend them if we didn’t actively play them ourselves. You can enjoy your blackjack game at these online casinos and have confidence that you’ll be given the highest quality customer service, game selection, and graphics, the online gambling world has to offer. After all, we enjoy reviewing blackjack games almost as much as we enjoy playing them. Well…almost.